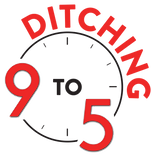 The new episode of Ditching 9 to 5 is out and hopefully it’ll help cut through some of the mystique surrounding SEO and SEM. Digital marketing is important to all online businesses whether they need periodic help with SEO best practices or ongoing digital advertising. We chatted about multiple approaches to getting started, how to know when to hire an online marketing agency and what to look for in terms of results. But if you’re interested in learning about SEO for new websites or small businesses, skip this summary and listen to the podcast!